Delhi, the vibrant capital of India, is a city steeped in history and culture, yet overflowing with modernity and the never-ceasing rhythm of life. The beautifully chaotic city has plenty around every corner; whether it is exploring the frantic street bazaars, riding an auto rickshaw or savoring the tantalizing dishes of the country, Delhi is an experience that lingers on your mind long after you have returned. Perhaps the most fascinating aspect of the city is the sheer range of historic sights. With centuries-old temples, tombs and other ruins scattered throughout the city, one could spend weeks discovering the vivid past of Delhi and ancient India. The city was ruled by numerous empires and dynasties throughout history – who left behind fascinating relics that show you a glimpse of classical India. 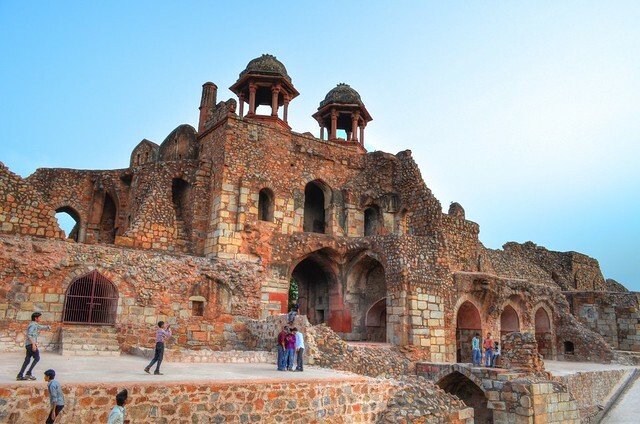 For fellow history buffs, here are some of the most noteworthy historic places in Delhi that you should note down on your itinerary. The sites are listed in chronological order and grouped by who was ruling Delhi at the time they were built. Founded by Maharaja Sri Gupta, the ancient Gupta Empire ruled Delhi and much of Northern India from sometime in the 200s until 590. While the Gupta Empire expanded its territory through war, the empire’s reign ushered in a period of peace and great strides were made in the fields of arts, architecture, science, literature, and religion. The growth and success continued for two and a half centuries and historians commonly refer to the period as the “Golden Age” in the country’s history. 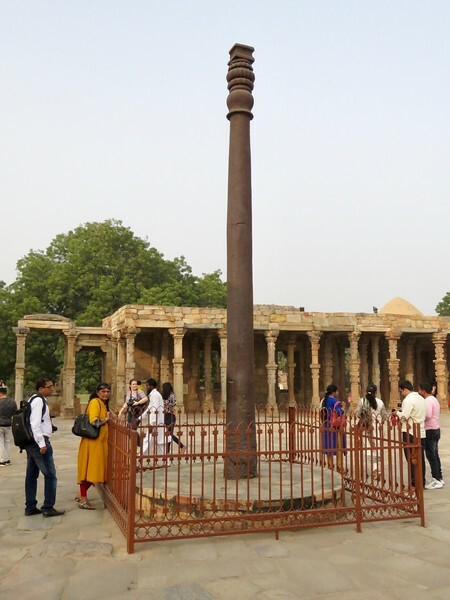 The iron pillar of Delhi is inside the Qutub Complex and the entrance fee is combined. Its plain appearance belies its historic significance. The fact that it was created more than 1500 years ago and has not rusted away, although its located in the open air, demonstrates the sophistication of the art of ironworking and engineering at the time it was created. It has remained an object of fascination for archaeologists and metallurgists. The Iron Pillar rises to 24 feet and weighs six tons because of the 98% wrought iron composition. The base and the top of the Iron Pillar features intricate carvings while Sanskrit inscriptions cover the rest of it. The Delhi Sultanate ruled Delhi and North India for three centuries, starting from the thirteenth century. Over the course of its reign, the Sultanate was ruled by 5 dynasties. Qutb al-Din Aibak, a Turkic slave general, founded the first dynasty which was the Mamluk Dynasty. They ruled Delhi during the period of 1150 – 1210. Jalal ud din Firuz Khalji founded the Khalji dynasty which ruled from 1290 till 1320. The Khalji successfully fought off a Mongol invasion. Ghazi Malik, who was Tukro-Indian, started the Tughlaq dynasty which ruled Delhi from 1320 – 1413. The Delhi Sultanate ruled much of what is now modern India in this period. Khizr Khan founded the Sayyid dynasty which ruled from 1414 till 1451. Rulers in this dynasty claimed to be descendants of the prophet Muhammad through his daughter Fatima. Bahlul Khan Lodi founded the Lodi dynasty which ruled Delhi from 1451 – 1526. When the last Sultan of the Lodi Dynasty died during a war, the Delhi Sultanate collapsed. 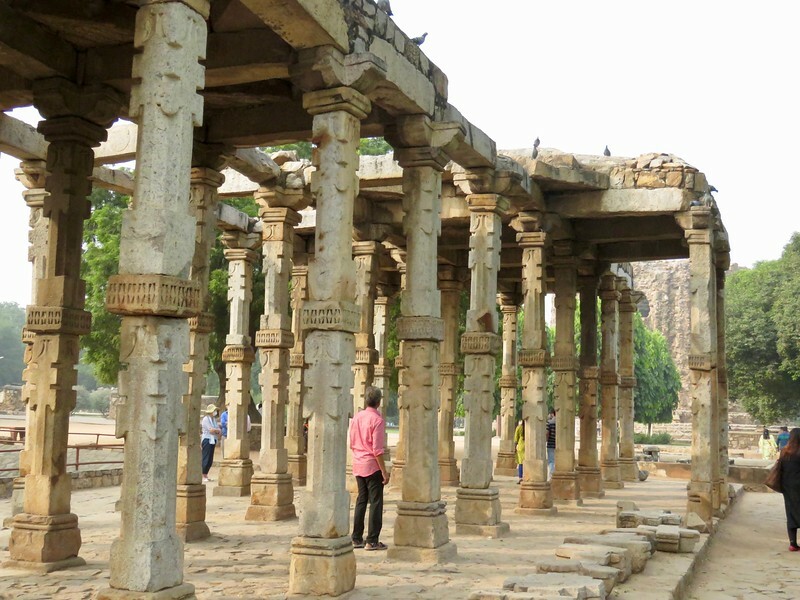 Located in the oldest inhabited region in Delhi, the Qutub Complex is home to a number of noteworthy historic sites. The second most visited attraction in India, it was built by the Turks, who heralded in the Sultanate Rule. It offers one of the best glimpses into early Sultanate architecture and history. The Qubbat-ul-Islam Mosque and the Qutub Minar – a UNESCO World Heritage Site – remain the highlights of the Complex but monuments like Alai Gate, Alai Minar, and the many Jain temples and tombs of rulers are all spots that are sure to intrigue history lovers. One of the greatest architectural marvels to come out of the thirteenth century, the Qutub Minar is a brilliant example of India’s architectural might. Standing at 72m (239.5 feet), it is the tallest brick minaret in the world and was built to mark the Turk’s victory against the Chauhan Dynasty. 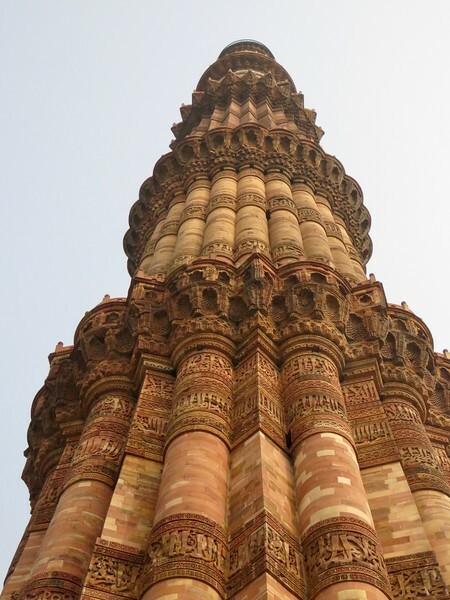 Construction was started on the tower in 1192 by the founder of the Delhi Sultanate Qutab-Ud-Din-Aibak. The architectural style used is of particular interest as it sparked the beginning of the fusion of Indian and West Asian architectural styles. The structure was built predominantly using red sandstone, which explains the red hue on the building’s surface. The first floor of the tower features complex floral carvings which blend together with carvings of Quran verses while exquisitely carved stone brackets top off a mesmerizing fusion of Indian and Islamic styles. Visitors are allowed to reach the top, but they will need to scale a 379 step staircase to get there. 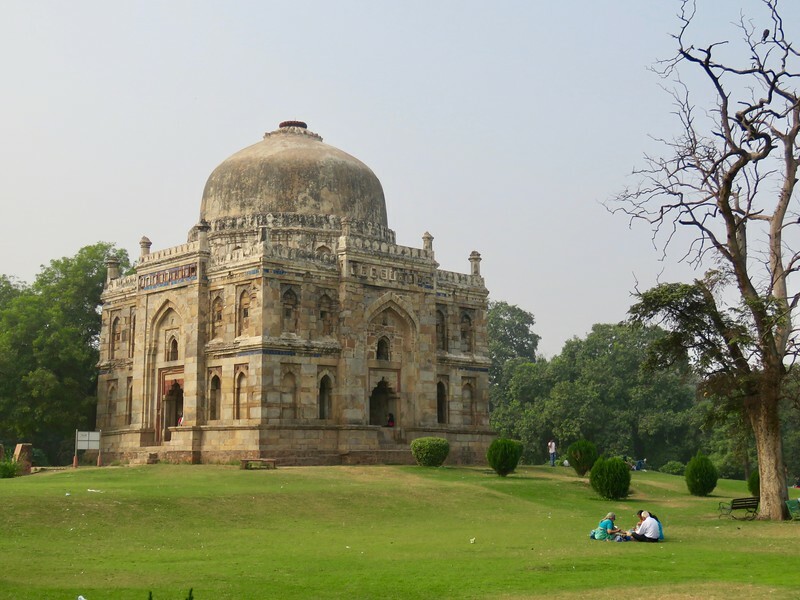 For those looking for a bit of peace and quiet from Delhi’s bustling streets, the calming green oasis that is Lodi Gardens is a great spot to be at. The array of fountains, ponds, artificial streams, and well-manicured lawns and shrubs are sure to soothe even the most flustered souls. The gardens are also dotted with fifteenth-century relics including tombs, mosques, bridges and wartime structures like watchtowers that add to the mystic and otherworldly appeal of the park. The Mughal Empire started before the Sur Empire, which was short lived, but I am listing the Sur Empire first because all the Delhi Mughal sites are from the time period after the Sur Empire. After Babar, the first Mughal emperor, conquered much of India his son Humayun would lose much of it including Delhi to the short lived Sur Empire. Sher Shah Suri defeated Humayun to take over the entire Mughal Empire. The reign of the Sur Empire was short-lived. It lasted for only 16 years, from 1540-1555. Historians note that the empire saw a significant uptick in the economy and Sher Shah Suri brought about many reforms to minimize corruption and public oppression. Humayun would soon take Delhi back, but Sher Shah Suri’s brilliance and the Sur Empire provide a short interlude and add to Delhi’s growing cultural sights. This is the garden tomb of a Pashtun noble of the Sur Empire. The tomb was one of the first examples of a sunken garden design that would later be used for the construction of the Taj Mahal. Other than the octagonal tomb, the walled complex consists of a mosque built in Sur styled architecture. According to inscriptions on the tomb, the complex was built between A.D. 1547-1548. 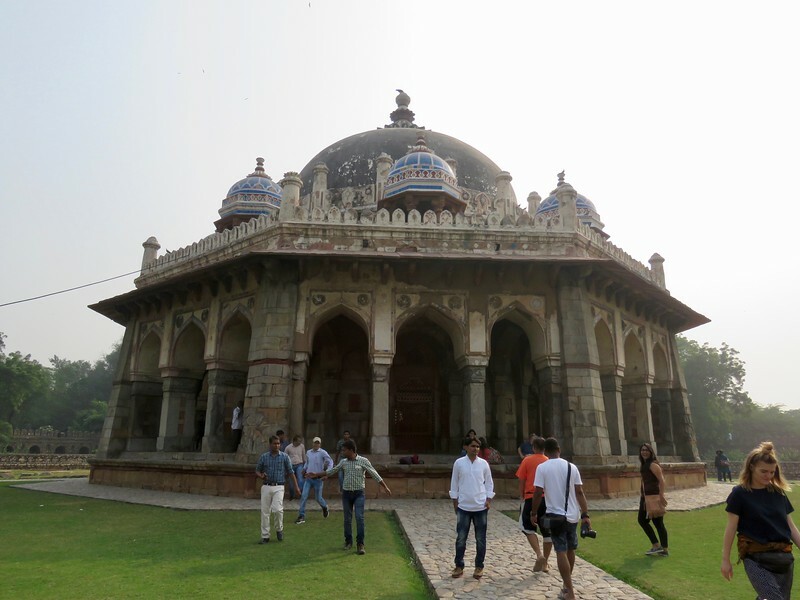 Isa Khan Niyazi’s Garden Tomb is part of the complex of Mughal Emperor Humayun’s Tomb and is combined in the entrance fee for that site. It is the first structure as you enter the heritage site. A sixteenth century stone fort, Purana Qila Fort has played a key role throughout India’s history. Soaked in history, the area around the fort has been inhabited since 300 BC. 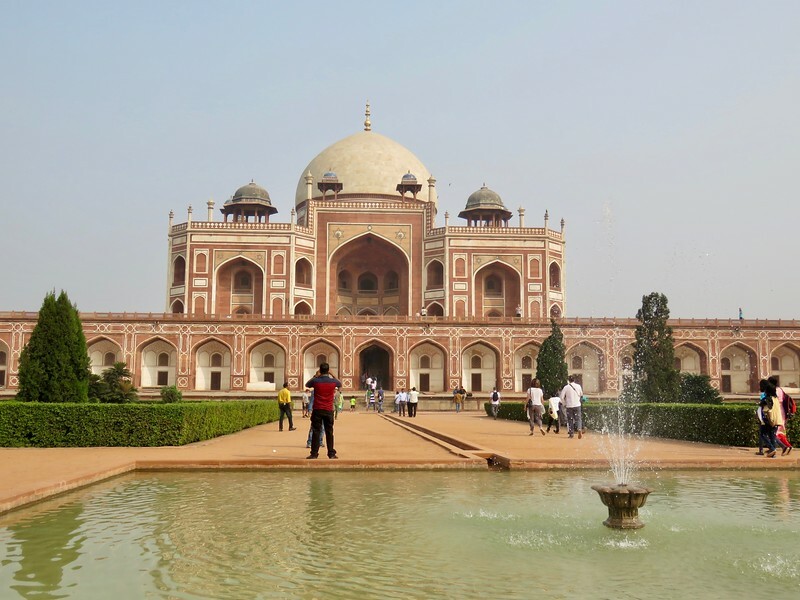 It was first built by Mughal emperor Humayun and then completed by Sher Shah Suri after he deposed the former. The fort contains a step well, a library – where Mughal emperor Humayun tripped down and died after taking back control of Delhi – and a Sur architecture styled mosque that served as Sher Shah Suri’s private mosque. Oh, and if all that does not seem intriguing enough, Mughal chronicles claim that the fort sits on the site of Indraprastha – the capital of the Pandavas – a story that sits in between myth and reality. Today, the fort is the site for a beautiful sound and light show that takes place every evening (other than Friday) from 7 PM to 8 PM for the Hindi version and 8.30PM to 9.30PM for the English version. The present is not the only time that Delhi has been the capital city. In 1526 India was invaded by the Mughals. The first of the Mughal Emperors was Babur who was born in what is now modern Uzbekistan. He was a descendant of Emperor Timur (Tamerlane) who had conquered Persia in the late 1300s. The Mughals captured most of what is now Pakistan, India, and Bangladesh and would rule much of the population of India until 1740. At the height of their strength, the Mughal Empire was considered one of the greatest empires on Earth. Humayan, Babur’s son, lost control of the empire in 1540 to the Sur Empire lead by Sher Shah Suri. However, by 1555 he managed to take back control of Delhi. Shortly afterward, his son Akbar ascended the throne and hence began the “classic period” of the Mughal Empire. Akbar, who is regarded as one of the greatest rulers of India, took over the throne when he was 13 and eventually expanded his empire to the North, West and the central parts of the country. He was widely recognized for his belief in religious tolerance. He appointed many Hindus to high positions and constantly worked to win over the Hindu population in the country. Very much interested in art and learning, rulers of the Mughal empire frequently sponsored such projects, leaving behind a goldmine of paintings, literature and historic structures like the Taj Mahal. This UNESCO World Heritage Site was constructed in 1570 and holds a special significance due to the fact that it was the first garden tomb in South Asia. 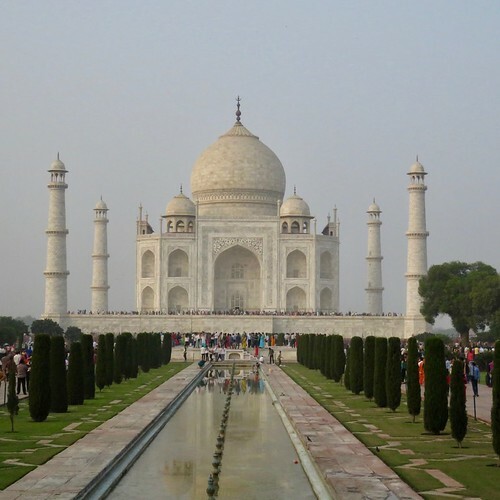 It served as inspiration for many other structures reaching its zenith at the Taj Mahal. 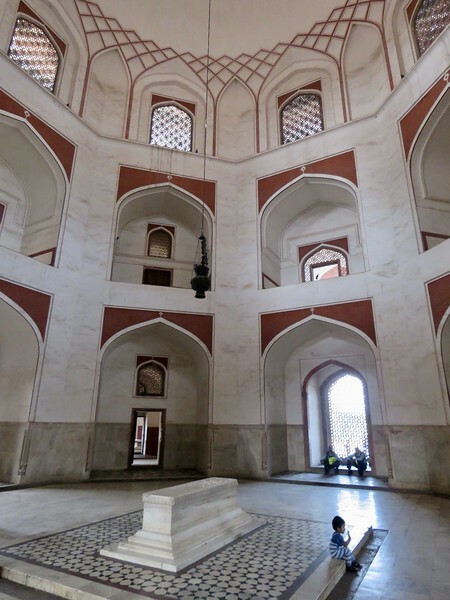 But while the interior of the Taj Mahal is dark, the interior of Humayun’s tomb is light and airy with his very simple white marble sarcophagus in the center under the dome. Commissioned by Humayun’s son, the tomb was built with red sandstone in the form of an octagon and topped off with a 42.5m high marble dome. Other members of Humayun’s family are buried in the complex as well as other later emperors including Jahandar Shah, Farrukhsiyar, Rafi Ul-Darjat, Rafi Ud-Daulat, Muhammad Kam Bakhsh, and Alamgir II. Once the palace of the Mughal rulers, the Red Fort was the empire’s capital for two centuries. Named after the red sandstone used to build the fort, the palace features opulent marble sculptures, beautiful gardens, museums and decorations that included the Kohinoor diamond. It is widely considered the pinnacle of Mughal architecture and is even used today for important government occasions – the Prime Minister of India gives his Independence Day speech at the Lahore Gate of the palace. Other than the fusion of Mughal and Persian architectural styles, a visit to Delhi’s Red Fort is an excellent way to learn about the day to day life of the ancient rulers who shaped the course of India. Protip; The area surrounding the Red Fort includes multiple shopping areas and makes for an interesting visit. 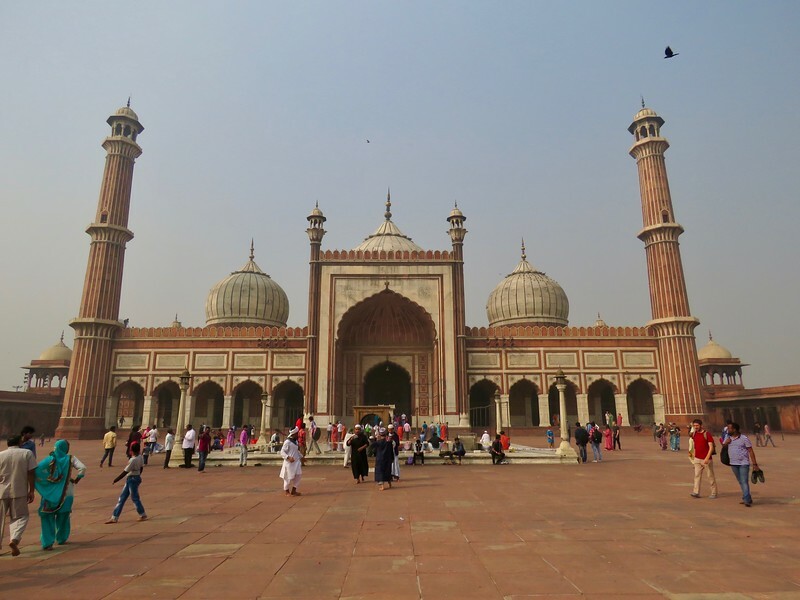 The Jama Masjid Mosque can be found in Old Delhi. It was built by Mughal Emperor Shah Jahan (who also built the Taj Mahal and the Red Fort) between 1644 and 1656. 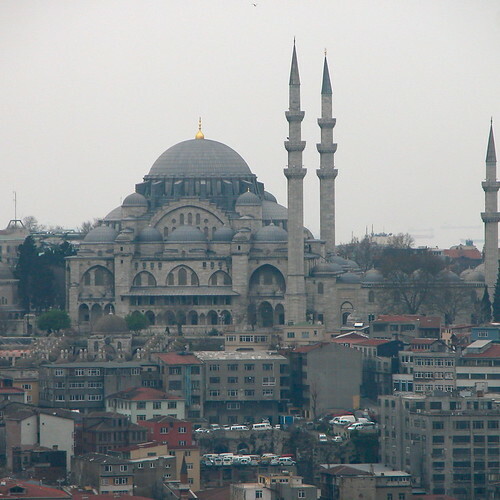 The original name of the mosque, Masjid-i-Jahan Numa, meant “mosque commanding view of the world”. This mosque is one of the largest mosques in all of India. You are welcome to visit the mosque even if you are not a muslim although tourists are not allowed during prayer hours. The structure is not all that deep but the large courtyard can hold as many as 25,000 worshipers. Tourist who need appropriate dress can rent a covering at the northern gate. The British had a presence on the Indian Subcontinent from the middle of the 1700s and ruled India from 1858 to 1947. While they had been trading with India for a long time, the British did not start seizing land until 1757, after the Battle of Plassey. After a rebellion led by the Mughal Emperor Bahadur Shah was crushed, the British tightened their grip by exiling the emperor and bringing an end to the Mughal Empire and introducing harsher laws. India’s independence movement began around the time of World War II and the struggle ended with India declaring Independence on August 15th, 1947. While the period was tumultuous, there are several sites that should interest history fans. Officially called the Delhi Memorial, this sandstone arch was built as a monument to the Indian troops who died in the wars between 1914-1919. 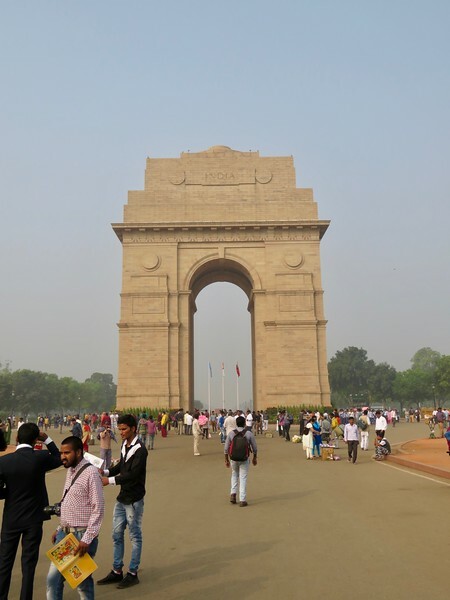 The arch is situated towards the East of Rajpath and stands at a height of 42 meters (138ft). Designed by architect, Sir Edwin Lutyens, the monument is similar to the Arc de Triomphe in France. The names of the thirteen thousand soldiers who fell at war are inscribed on the Gate. The National Museum dates to the time of the Raj – established in 1949 but has a collection that spans all the history of India. The collection is a bit heavy on the statues of Hindu gods as you might expect. One of the largest museums in the country, visitors can discover around two hundred thousand artifacts, both local and from across the world. 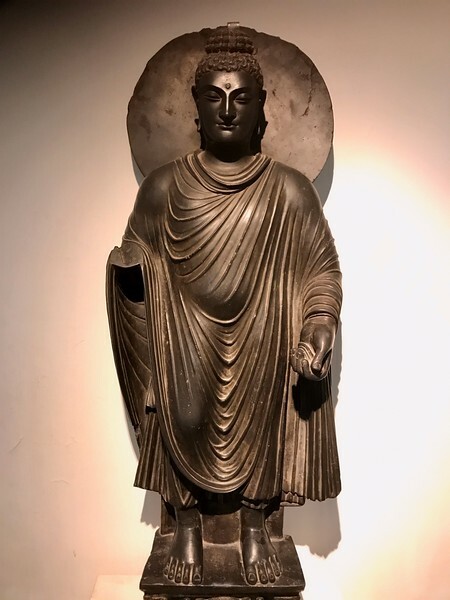 The artifacts range from prehistoric relics to artifacts from the times of the Buddha to modern day paintings and the like. For those who want to trace India’s rich and often turbulent history from the Bronze Age to global superpower, the National Museum of India is a highly recommended choice. What a great post Chris! Looking forward to reading more from you. Carolina at GSE Solutions.